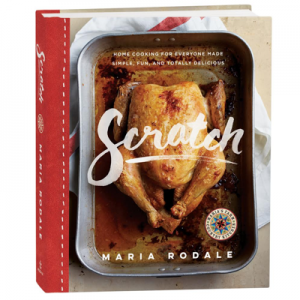 A few weeks ago, I mentioned that my new cookbook, Scratch, is live on Amazon and ready for pre-order. Well, I wanted you to know that if you’ve already pre-ordered it or you’re ready to pre-order now, you are eligible to receive four free gifts from me! 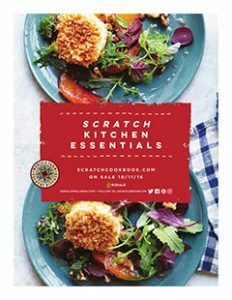 Just fill out the form on ScratchCookbook.com, and you’ll receive my Scratch Kitchen Essentials list, my all-time most-loved Tips and Recipes from my blog, 10 percent off at Rodale’s, and a free 3-issue subscription to Rodale’s Organic Life. All you’ll need to enter to redeem this offer is the date that you pre-ordered Scratch from your favorite retailer. Scratch Kitchen Essentials: Featuring my top 40 organic pantry essentials, my four favorite “cheat” items, plus helpful tips for buying organic. 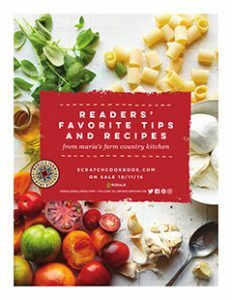 Readers’ Favorite Tips and Recipes from Maria’s Farm Country Kitchen: A special collection of my most requested (and shared!) tips and recipes from this very blog. 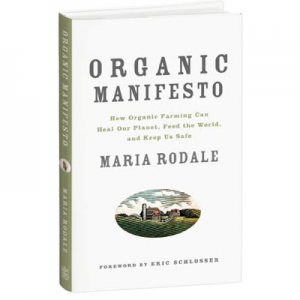 10% Off Your Next Purchase at Rodale’s, the exclusive online source for the best in organic-living products. 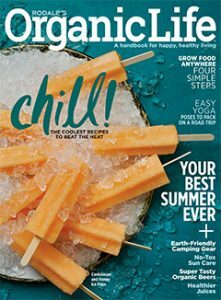 Complimentary 3-Issue Subscription to Rodale’s Organic Life: We’ll send 3 issues of the magazine dedicated to living naturally in the modern world right to your door. All you need to do is enter your name, email, and order date! Scratch is at the printer now, and will be hot out of the oven on October 11th, 2016! 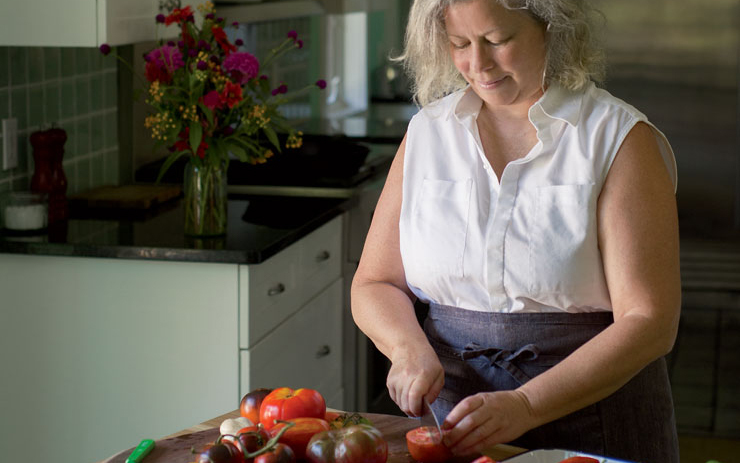 From the Editors: We asked readers and Rodale employees to share their own favorite memories of cooking from scratch with us—and they did! Our team was was lucky enough to gather together cherished memories of preparing and eating meals with families and dear friends from a really fun group of people. Take a listen below; we hope they (and the recipes in Scratch) inspire you to get in the kitchen! I’d love to hear you memories, too. Leave your stories of cooking from scratch in the comments! My grandmother was never a person to cook, or bake from written recipes. She always cooked from scratch, except for when she was in a hurry, she would use Duncan Hines cake mix. My favorite memory was every September when the leaves started to turn, and we returned to school, she would always start to make doughnuts from scratch and have a big platter full of warm, icing laden doughnuts ready when us kids came home. It was one late afternoon in October when the sun was setting, I was raking the back yard of the beautiful colorful leaves that had fallen, I saw her at the back door of the kitchen watching as I raked, and I could smell the doughnuts in the hot oil coming through to the outside. I couldn’t wait to finish raking and dive into those mouth-watering confections! She always kept a plate aside just for me, just like her hot, homemade dinner rolls. I’ll never forget that, or how they smelled. It makes me smile every time I think about it (a bit sad too) because she is no longer with me, I keep that memory close to my heart. I’ll bet we all have one or some of those memories.